The 2018 Ford Flex in Cincinnati, OH is the perfect SUV crossover for those looking for a fun, safe, and comfortable ride. The Flex is uniquely designed and has many conveniences onboard. The Ford Flex offers 7 – passenger seating that folds down to offer a generous storage area. With third-row seats folded there is 43.2 cu. Ft of storage and the second-row folded flat, there is 83.2 cu. Ft. available. The 2018 Ford Flex can tow up to 2,000 lbs and gets great gas mileage at 16 city to 23 highway MPG. Advanced smart tech options, such as available SYNC voice-activated technology and cutting-edge navigation technology with SiriusXM and Travel Link make the Flex a pleasure to drive. Use real voice commands to find your favorite restaurant, or directions while on your day trip. Excellent safety features like BLIS with cross traffic alert and a rearview camera, active park assist, roll stability control, the LATCH system, anti-lock brake system, adaptive cruise control, and the world’s first automotive production inflatable rear safety belts round out this three-row SUV crossover vehicle and make it a great choice in its class. With a 9.2 safety rating, the 2018 Ford Flex is packed with safety features to protect your precious cargo. 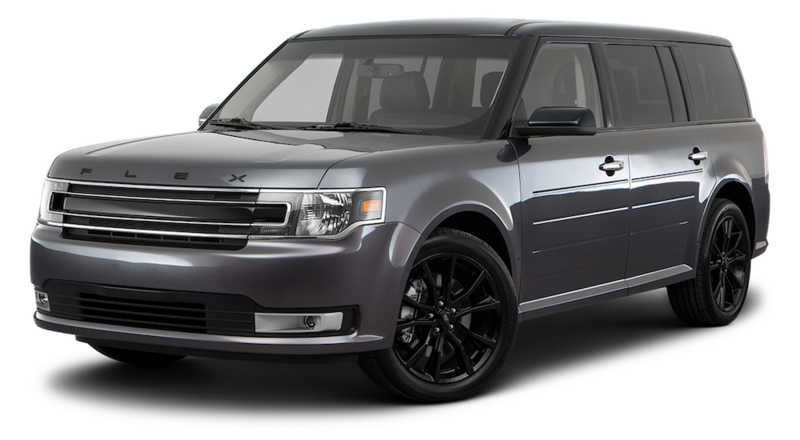 The Ford Flex safety features include a driver’s airbag, front side air bag, passenger airbag, 4-wheel ABS, 4-wheel disc brakes, brake assist, front head air bag rear head airbag, electronic stability control, child safety locks, and traction control. The three-row crossover SUV pays careful attention to safety features-just like you do. Additional safety features include Roll Stability Control, rearview camera, LATCH system, Three-Row Safety Canopy System, side-curtain airbags with rollover sensors, SOS Post-Crash Alert System, and an Anti-Lock Brake System. Adaptive cruise control uses technology to continuously monitor the vehicles directly in front of you and adjusts your cruise control speed accordingly. Active park assist uses ultrasonic sensors to help you safely parallel park. Also available are the Blind Spot Information System (BLIS) and Cross-Traffic Alert. Kings Ford Cincinnati knows how important safety is to you and the features on the 2018 Ford Flex achieve those standards. The 2018 Ford Flex boasts an impressive technology package. Available active park assist scans parking spots as you drive by using ultrasonic sensors to measure the distance to the curb and surrounding parked cars. The driver is alerted via a stop signal and then takes over control of shifting, accelerating, and braking. Advance Trac with RSC (Roll Stability Control) uses sensors to measure vehicle roll and turning rates. The automatic system applies brake pressure and adjusts engine power to help keep your vehicle safe and under control. Adaptive cruise control, that is responsive to slowing and accelerating traffic as well as intelligent all-wheel drive help round out the Ford Flex’s performance technology options. On the inside, enjoy the comfort of the available heated steering wheel, heated and cooled front seats, dual-zone electronic automatic temperature control, and a power-tilt steering column. Enjoy advanced navigation with SiriusXM Traffic and Travel Link as well as a GPS and 3-D mapping system that gives drivers voice-guided turn-by-turn directions. SYNC with Apple CarPlay and Android Auto add to your driving experience with ease of use voice commands and easy to use interactions that allow you to use your smartphone via their interface. Easily control your most popular apps with voice control while driving. Cargo and storage were a top priority when designing the 2018 Ford Flex and this car delivers. Ford Flex Cincinnati offers 43.2 cu. Ft. of room with the rear seats folded. The second-row seats also fold flat creating 83.2 cu. Ft. There is a first-row console, second-row door storage pockets, second-row map pockets on the rear of the seats, third-row armrest storage, and a lockable glove compartment. There are up to 12 cup and/or bottle holders in the Flex. A power liftgate adds further convenience to the 2018 Ford Flex. A button can be pushed to lift the gate from both the key fob or inside the vehicle. Heated power folding mirrors are available and the 2018 Ford Flex SE and SEL have available security approach lamps. The Limited has power-folding mirrors with security approach lamps and memory storage for up to two drivers. The Ford Flex SEL and Limited come standard with intelligent access with push-button start. With the intelligent access keys in your bag or pocket near the door, sensors detect the keys are nearby and you can open the door with a simple touch of the door handle. Once in the car, you can simply press the brake and push the start button, shift gears, and head out. The Ford Flex is a style-forward third-row, 7-passenger SUV crossover. With its wood finishes and leather-trimmed seats, the interior is full of unique touches. The exterior is easily customizable with an appearance package and the option to customize wheel choices in both color and size. The 2018 Flex Limited features fine details, such as perforated leather-trimmed seats, a leather-wrapped steering wheel with a wood inlay and meteorite black bezels, and maple inlays in the instrument and door trim panels. The appearance package features a uniquely finished instrument panel and door-trim appliques, 1st row and 2nd-floor mats. Natural light abounds in the Flex. The first row features a power moonroof, the second row features two roomy skylights, and the third row has a single large skylight. Power sunshades are included. The 2018 Flex offers a chrome grill that creates a seamless appearance as it blends seamlessly with the headlights creating a great looking front- facing view. A satin-aluminum finish is standard on the Limited. The interior and exterior appearance package includes options, such as mirror caps, liftgate applique, 20- inch black painted wheels, leather-trimmed seats, and a leather-wrapped steering wheel. Another pleasing feature is the ambient lighting. Choose from seven colors, ice, orange, blue, red, green, navy, or purple, to light the footwells, front center console, and two front cup holders. Ambient lighting can be adjusted using the Flex’s touchscreen control navigation. 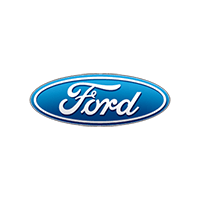 Kings Ford is a trusted dealer and provider of new and used Ford SUVs, cars, and other vehicles. As a premier dealer in the area, our goal is to provide customers with the most high-quality service so you can find the right car at the best price available. We offer low-interest plans from our finance center and regular offers and incentives to help get you into the car that is perfect for you. At Kings Ford, we are committed to providing excellent customer service which means that we care about getting you the right car, with a great experience. 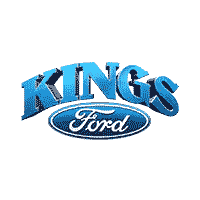 At Kings Ford Cincinnati, we are always ready to answer any questions you may have. Along with our commitment to giving our customers and potential customers a great personal experience, we are also committed to our community. To show our gratitude we regularly perform charity work and sponsor programs in an effort to help the area thrive.